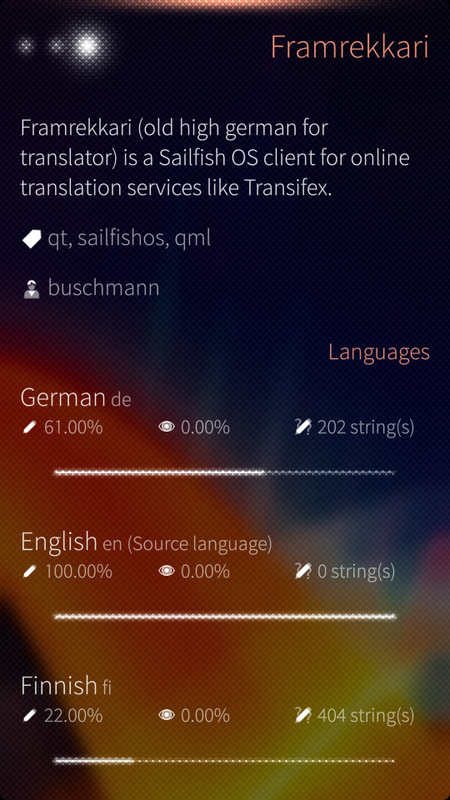 Framrekkari (old high german for translator) is a client for online translation services like Transifex and is available for Jolla Sailfish OS. It currently only supports the Transifex API, but more services are planned for the future. 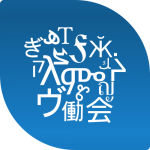 It currently supports the translation to already created languages of Transifex projects. More features coming soon. Look at the application’s help page to learn more about Transifex API limitations. 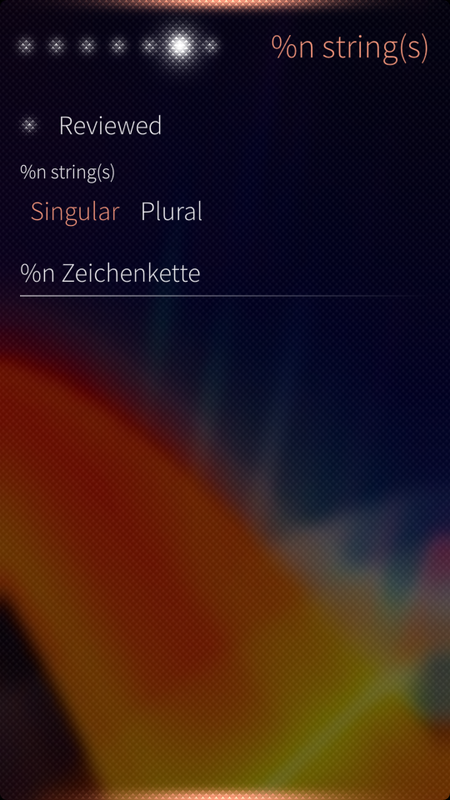 Framrekkari is available in the Jolla Store on your Sailfish OS Device. Developed with westphalian stubbornness in Munich. Framrekkari lets you translate projects hosted on collaborative online translation platforms. It supports the complete workflow to translate source strings into other languages. Start Framrekkari and you will see the main view page that holds your accounts. This will be empty on the first start. Pull down the top menu and choose Add account, in order to add a new account. After you added one, it shows up in the list and you can click on it to open it. The account view gives you access to the service’s search/open functionality and lets you browse through the projects. Search or browse for a project to open it. The project page shows the available languages and general information about the project. Clicking on a language will open the project resources. A click on a resource opens the list with the source strings. 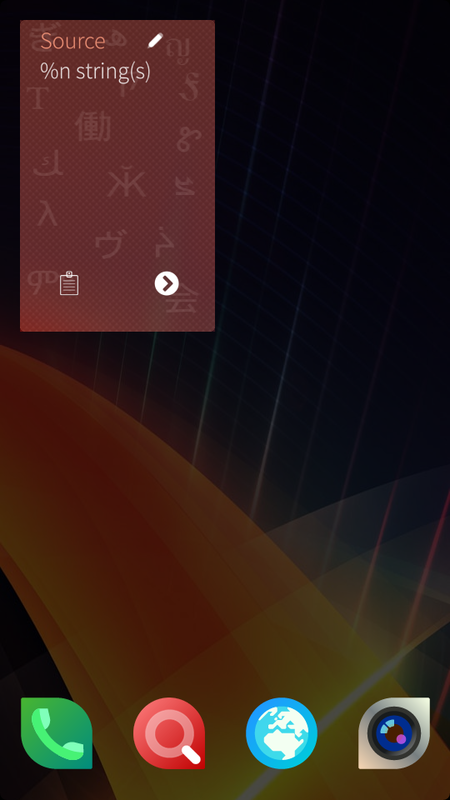 Click on a string to open it and start translating. 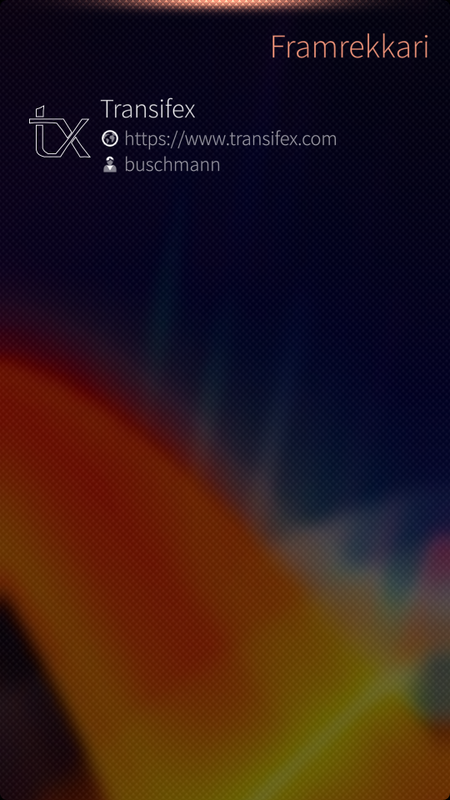 Closing the single string page or going to the next or previous string automatically saves your input. Transifex API has some limitations. Biggest one is that it gives access information about languages and resources only to project owner and maintainers but not to normal users. So it is not possible to determine if a user has the rights to change content. You should now by yourself if you are resoponsible for a project language. If you have not enough rights to change something, you will get an error message, but it is not possible for Framrekkari to check this in advance. The second big limitation is, that there is no search functionality. You have to enter the correct slug (project name that is used in the browser URL) to open a project directly, or you can browse through all available projects. 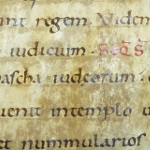 What information does Framrekkari collect? In order to login to your translation server Framrekkari needs your username and password as well as the server address. These information is not given to the author of Framrekkari or other third parties (except the server operator). What does Framrekkari use your information for? Framrekkari needs your login data to connect to your translation server. Your log in data is used to log in to your translation server to perform the tasks of downloading and uploading translations. Does Framrekkari disclose any information to outside parties? Framrekkari only uses your data for the login process into the server that you configured. Framrekkari does not send these data to the author of Framrekkari or other third parties. For questions concerning the privacy on the server side, you have to contact your translation service provider. Framrekkari is a client for collaborated translations services like Transifex. It has no preinstalled third party links other than the own application website links on the About page and on this page. Showing translation project details and opening the project webistes is in the user’s responsibility. For questions concerning the privacy of this sites you have to contact the site operator. Markat is based on the following technologies. 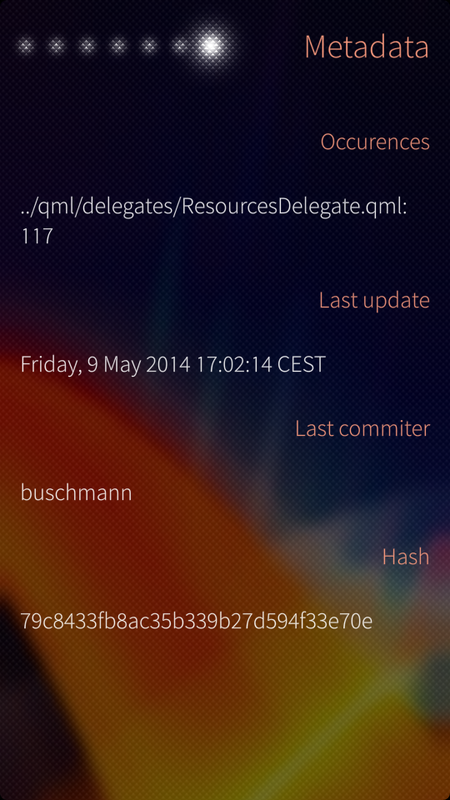 It is written in Qt/C++, using QML for the user interface.